International Institute of Education and Management honored Saint Dr. Gurmeet Ram Rahim Singh Ji Insan with International Green Ambassador Award at International Global Achiever Summit 2016. On 29th May, Saint Dr. Gurmeet Ram Rahim Singh Ji Insan was awarded with one more international laurel. This time he was honored with the International Green Ambassador Award. International Institute of Education and Management organized International Global Achiever Summit in Bishkek (capital city of central Asian country Kyrgyzstan) on 21st May, in which the former president of Kyrgyzstan Mrs. Roza Iskowana Ottunbiva, Indian ambassador to Kyrgyzstan Mr. Jayant Khobaragadey, deputy tourism minister Mr. Jhamankulav Ajmat Kaparowich and many other dignitaries were present. 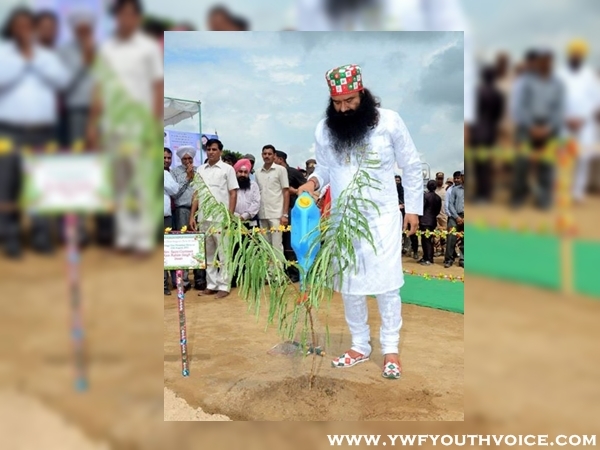 At this summit, Dr. Gurmeet Ram Rahim Singh Ji Insan was honored with international green ambassador award for his excellent achievement in national integration, individual contribution in world peace, education and social service. Dr. Gurmeet could not attend this event as he was busy in Dera Sacha Sauda Humanitarian Works. But surprisingly the dignitaries of this institute felt privileged to come to Sirsa to present this award to the "Indian Hero" MSG, as they were curious to have glimpse of baba's magnetic personality. They also said that not only his endeavors, there is something hypnotizing in his personality which wooed them to come all the way to Sirsa. The chairman of the institute Mr. Maahan Veer Tuli and Mr N.S.N. Babu presented this award to Dr. Gurmeet during a congregation organized in Sirsa. Saint Gurmeet appreciated their gesture and gave them a token of love. The Chairman of the institute told media that he has traveled to over 150 countries and wherever he has visited, he has seen extreme reverence for Guru Ji for his humanitarian endeavors, his volunteers are everywhere, serving humanity round the globe. love and peace. Showing his gratitude towards Guruji, he addressed him as the brand ambassador of love and peace, in his speech. Dr Ram Rahim was recently honored with Platinum Plaque for music and Dadasaheb Phalke Film Foundations Award. 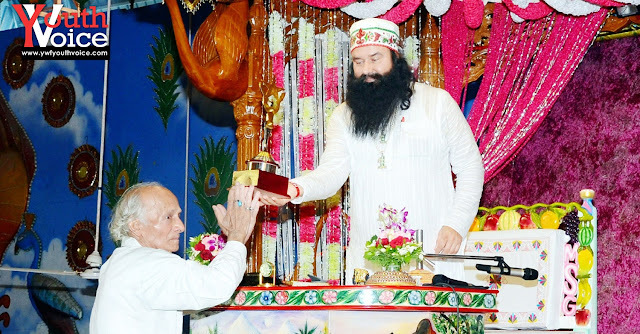 When we look at the ever-increasing number of awards and world records in the name of Dera Sacha Sauda, it seems it would itself make a record of winning so many awards.